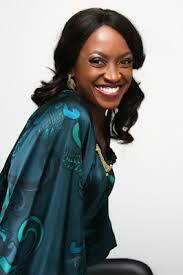 Some are of the opinion that Nollywood actress, Kate Henshaw is the number one actress with most endorsement. That, in some sense means she is rich, at least rich enough to have her meal wherever and whenever she wants it. But the aspiring legislator for the Federal House of Representatives, Calabar Municipal/Odukpani Federal Constituency under the PDP isn’t ready to share any money. “There’s no money. I can’t match the people who have been in the system for 20 to 30 years. I’m going with God and my heart. I’m not sharing money. If you continue sharing money, it will never stop. If you want a change, a true change, then vote for me and you’ll see the change. But if you want money, hey, go for money and stay where you are and don’t ever complain” she says in an interview. In the same interview with Sahara TV, the actress cited lengthy stays in politics as reason for much of the problems in Nigeria, on top of corruption on the part of government officials. “I don’t hope to be there forever. I just want to do, make noise, leave when the ovation is loudest. That’s the best way. I don’t want to be there for 10 years, 12 years, 16 years, that’s the best way. I want to do other things. 4- 8 years. That’s the limit…you can hold me to my word” she declares. 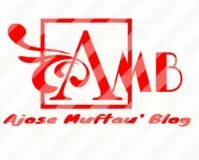 Previous Post BREAKING: Popular Rhythm FM OAP Charles Bruce Chukuma, also known as Chaz B is dead.